With years of experience installing pavers, we are truly the Miami Pavers experts. Our team of skilled craftsmen and professional team members want to make your home a palace. We cover all of South Florida and would love to talk with you about our amazing and cost effective paver installation services. Our mission is to provide the best contracting experience you've ever had. We approach every project as if it were our own home or place of business. 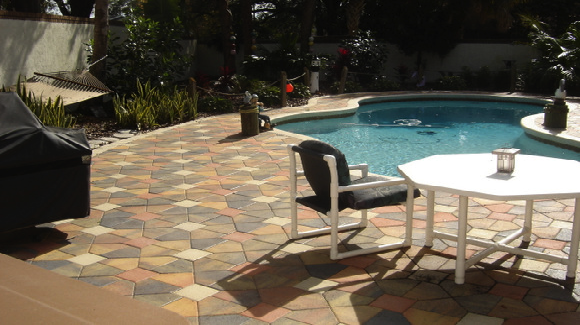 Through our years of experience installing pavers throughout South Florida, we have had the pleasure of working with countless homeowners and property managers. 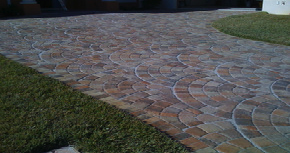 We are the local Miami paver experts. 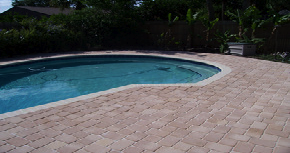 Our specialties include driveway pavers, pool deck pavers, patio pavers, retaining walls and paver sealer. So if you are looking for the best Miami paver company that services all of South Florida, you have come to the right place. Send us your contact information via our Free Estimate form to the right or give us a call. We are looking forward to working with you to make your property the best it can be! Our team of professionals can take your curb appeal from drab to the talk of the neighborhood. We use only the best materials and our process for installing your driveway pavers is different than most companies. Give us a call today. 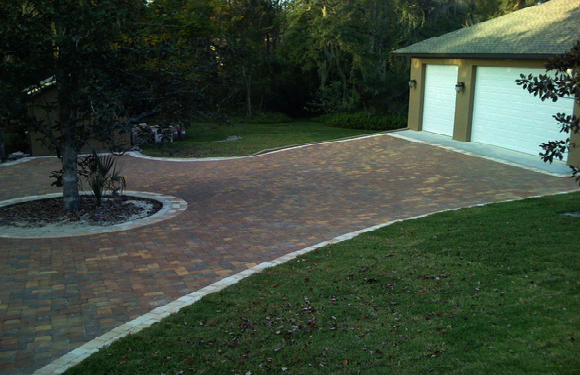 You can click on this driveway pavers picture to see our gallery of projects. 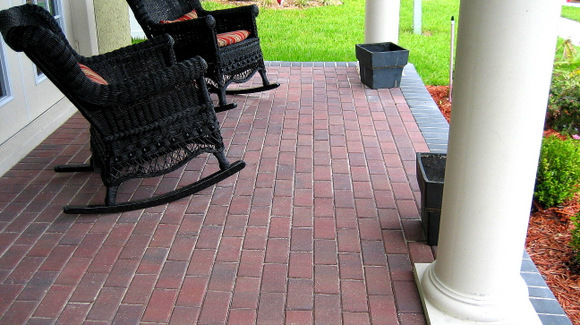 Throughout South Florida, brick pavers are the choice for beautiful home designs. You might be surprised at how affordable our brick pavers are. Compared to concrete and asphalt, brick pavers are only slightly more expensive. We argue though that given their 25 year warranty and increased home value, brick pavers are a great investment in your home and your happiness! Whether you are remodeling your existing pool deck or wanting to build a new pool, there is really only one option to consider for your deck material - pool deck pavers! Give us a call for a free estimate. We can walk you through the various color and shape options in addition to provide you with a price before we leave. Our pool decks are award winning! 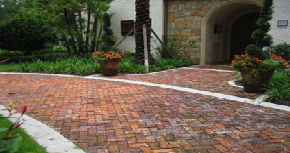 Our award winning brick paver designs have wowed homeowners throughout South Florida. 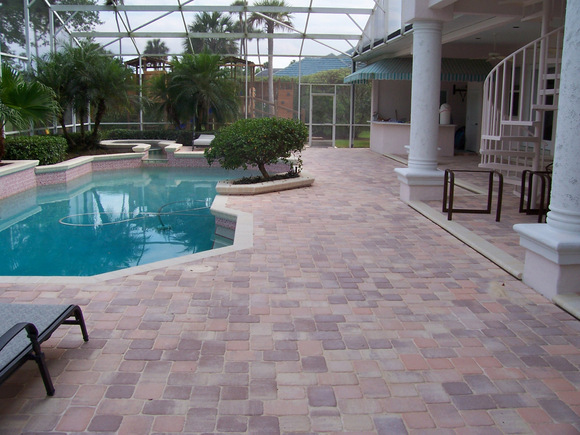 As the Miami Paver experts, we are more prepared to transform your home than anyone else. 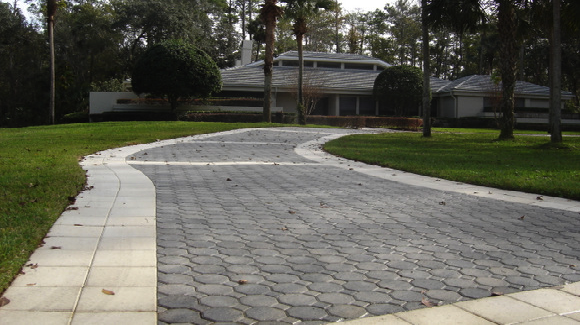 Our beautiful pavers truly change the way you will feel about your home forever. Whether you want to remodel your existing pool deck patio with pavers or you want replace your old, ugly concrete driveway with rich, colorful brick pavers, we can help! We focus not only on providing our clients with the right product at the right price, but we also ensure that you get what you pay for and that's unbeatable service and outstanding craftsmanship. Give us a chance to prove to you that when we say we are the Miami Paver experts, we mean it!